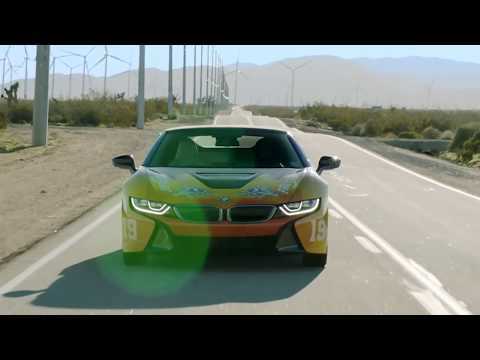 BMW i OFFICIAL PARTNER OF COACHELLA VALLEY MUSIC & ARTS FESTIVAL 2019. "The variety of live concerts at Coachella Festival is a great playground for creativity. At Coachella, the internationally most famous stars of the industry meet the most enthusiastic audience. Innovation and inspiration are the values that BMW i shares with the iconic festival, making it an ideal partner. We look forward to working with the festival and Khalid, one of the most exciting artists of contemporary soul music and a passionate BMW driver", says Stefan Ponikva, Head of BMW Brand Experience Shows & Events. "I love road-tripping, hopping in my car and driving back home to El Paso is 12 hours each way from LA. To me, BMW, especially BMW i8, is the embodiment of freedom on the road. I really feel like a free spirit when I’m driving and listening to music. I love making music that you can crank up and drive to with the windows down", says Khalid.